viCARIous: What is Jacksonville's cuisine? This question has been at the front of my mind since I moved here at the beginning of the year. Whenever I travel or move to a new place, my first priority is always to seek out restaurants or products that capture a unique sense of place. Foods you can’t find anywhere else, or that teach you about local culture in a way no hour-long trip on a sightseeing bus ever could. Sometimes it’s easier than others. 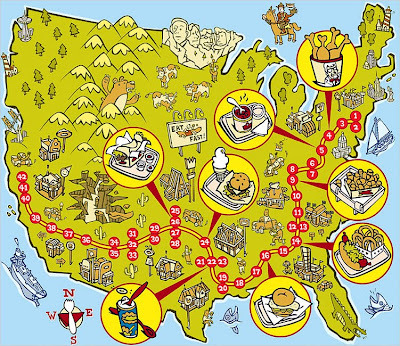 Like, when a city or region has an iconic dish or food product that you MUST seek out when you visit. Guinness in Ireland. Asado in Argentina. Parmigiano-Reggiano in Emilia-Romagna. Wagyu beef in Kobe. Lobster on the coast of Maine. Oftentimes I look to the unique, to products you can’t easily obtain anywhere else. Kangaroo and camel in Australia, crispy bugs in Thailand, roasted guinea pig in Peru, and all manner of exotic seafood in Japan come to mind. Yet in this globalized world of ours, signature or iconic dishes rarely encompass everything there is to know or experience about a local or regional cuisine. Try as I may, it’s definitely not easy to get the full flavor of a place in one weekend, or even one month. In Jacksonville, this has proven a particularly slippery endeavor. One reason may be because we don’t really have a marketable, unique dish or ingredient that we can use to illustrate our food culture. 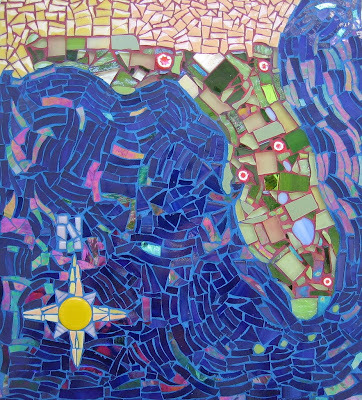 Take our neighbors in Saint Augustine. They’ve capitalized on their Spanish heritage in order to create a local cuisine that’s easy to package and present to visitors to the Oldest City. You see tomato-based Minorcan clam chowder on menus across the city, always made with the datil pepper, which is grown on Saint Augustine’s soil – and nowhere else in the world. There are hot sauces made with that same pepper sold in little shops dotted all over town, and many markets and stores proudly announce the inclusion of the datil in their larder. To me, it seems that Jacksonville doesn’t yet possess this sense of pride in their history or their soil; or rather, it’s not centralized and it’s not marketed or presented well enough, and that makes it difficult to grasp. 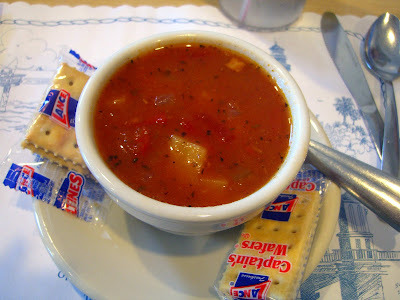 I’m sure Saint Augustine’s greater focus on tourism has a lot to do with their easily digestible presentation of Minorcan clam chowder and the datil pepper. But it’s only been recently that I’ve even been able to get a grasp on the produce we can grow here in Northeast Florida, and the fish that come directly from our shores. 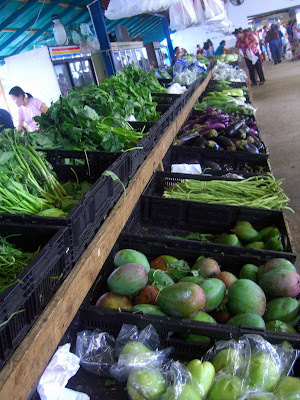 Most of our food and farmers markets import products from outside Northeast Florida. And while some pioneering restaurants are committed to serving locally farmed, raised, brewed, and fished products, I certainly wish we had more of it. As you can see, it’s not easy to pinpoint Jacksonville’s cuisine. Over the last few months, I’ve realized there are many, many moving parts to Jacksonville’s food culture. We don’t have one signature or quintessential dish. But that’s okay. Together, all the moving parts tell a story of a diverse and vibrant food culture, not one that can be pigeonholed into one version of history or one type of produce or dish. I intend to explore the elements of Jacksonville cuisine in upcoming viCARIous posts. The two main factors influencing our food culture are, in my mind, our geographic location, and the diverse makeup of our inhabitants. When it comes to geography, it’s obvious that we’re located in the South. Does that mean we can claim barbecue as our own? We certainly do have a certain breed of mustard-based sauces and sauce-soaked slices of white bread that many of our barbecue joints seem to have in common. 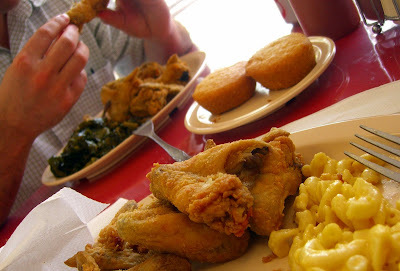 And there’s a certain pride in soul food, and “down home” or “cracker” cuisine, with plenty of tasty joints serving up fried chicken, smothered pork chops, collard greens, and mac and cheese. 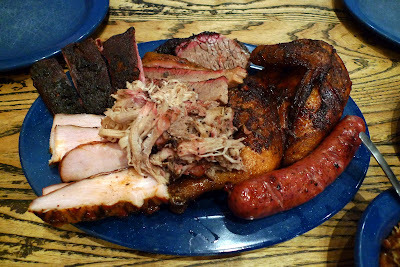 Granted, in the minds of many, barbecue and soul food are more readily associated with other areas of the Deep South. But here in Jax, we’ve made them our own in a number of ways. We’re in Florida, so can we count ourselves part of the “Floribbean” culinary trend that incorporates ingredients and techniques from Caribbean and other Latino cuisines? There’s definitely some of that in Jax. 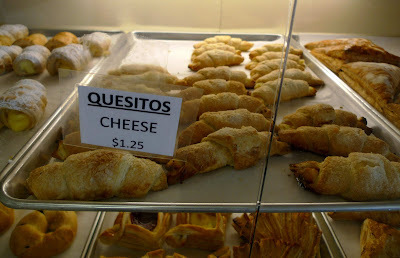 We’re no Miami, that’s for sure, but you can see the influence in menus across the city and especially in the ethnic markets and shops around town. Since we’re located on the ocean, undoubtedly seafood has something to do with our unique local cuisine. 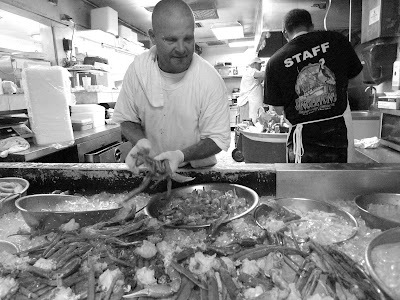 All those seafood shacks and fish camps serving Mayport shrimp and smoked fish dips come to mind, as do fancier restaurants that serve locally-sourced catches. And how can we neglect to mention “swamp” fare? Gator and frogs’ legs and soft-shell crabs and catfish. That’s as Florida as you can get. Lastly, and perhaps most importantly, we can’t forget our diverse inhabitants, all the ethnicities and religions and transplants that make up the fabric of our multicultural city. Vietnamese pho joints, Jewish delis, Caribbean eateries, Mexican grocery stores, Indian restaurants, and a plethora of Eastern European and Middle Eastern influences have all contributed – and continue to contribute – to shaping our dining scene. I hope these posts help to paint a clearer picture of Jacksonville’s multifaceted food culture. And I hope they make you just as excited as I am about all of our food and restaurant options! Frankly, I’m sick of people complaining that Jacksonville doesn’t have much to offer in the way of local flavor, or ethnic food, or this, or that. You see that kind of talk all over sites like Yelp and Chowhound. It’s just not true, darnit! Yeah, maybe everything’s not concentrated in one walkable neighborhood like San Francisco’s Mission District or New York’s Little Italy, but hey, that’s the city we live in. You might have to drive, but you don’t really have to look that far, or that hard. So stop it with the negativity. As proof, my first post addressing Jacksonville’s unique food culture will explore a street brimming with ethnic markets and restaurants. I'll then visit a variety of seemingly mundane eateries that are located right in my backyard. These eateries combine as unique a combination of local pride and ethnic flair as you’ll find anywhere in the world. Any guesses as to what they are? Stay tuned! And please, let me know what YOU think makes up Jacksonville’s cuisine. The vast majority of people who live in Jacksonville do not have families that originated here. They are Navy transplants, moved in for work with the railroad or shipping or other job-related reasons. Therefore, the food is going to reflect the diverse population. We still have plenty of seafood festivals and food related events, but it's pretty telling that the biggest deal in food in Jacksonville proper is the World of Nations. I don't think we'll ever be "The World's Tuna Melt Capital" or anything like that. Living in Jacksonville is about appreciating the fact that you can eat pho on the southside, stop at Krispy Kreme for dessert and take a deep whiff of Maxwell House doin' their thing as you cross the bridge on the way to the Sinclair. It's not cohesive, but I do believe that is the way the world is moving - away from specialization and toward global eating. I'll take a crack at your question, although my answer may now be dated - before we moved away, some 15 years ago, we did a great deal of eating out, and I remember we danced with glee with the opening of every new ethnic restaurant - those were the days when Jax's restaurant scene began to change, and the tiny family ethnic places led the way. But I don't think they qualify as characterizing the Jax culinary landscape - my vote for that goes to the restaurants that specialized in the traditional Southern "meat and three" meals - and because they were traditional, they were mostly lunch places. Remember that Jax was in those days a pretty unsophisticated place -maybe still is- so any typical restaurant, or food, was not going to be "fine dining". I remember there being about 8-10 of these -probably more- like, The Old South on Beach; Jack's in downtown; and one whose name I can't remember out on N. Main St. And even if Jax is on the fringe of the true South, and not laying claim to a specific type of BBQ, I think it's fair to say that when it came to doing the meat and three tradition, the places in Jax did it as well as any other southern city I know. Please forgive my fading memory, but memory notwithstanding, the tradition of the southern meat and three may well be fading as well in Jax - and if so, that's a damn shame, for there was a time when it was done well, and inexpensively as well. Sadly, The Old South and Jack's must have closed - I've never heard of them:( But I do agree that Jacksonville has some solid meat-and-three places, although they don't call it that here. "Soul food" seems to be the term that floats around a lot (watch for a post on those places in the next month or so). And I have to disagree and say that the city's ethnic restaurants actually our shaping our food culture now. The Vietnamese community especially - lots of pho places around town. And there are many Indian and Latino options, too - depending on where you live, of course. I think Jax is growing up quickly and we're in the early stages of forming a true culinary identity - will be interesting to see how it develops! I've been asking this question since I waited tables at First Street Grill in the 1990's. :) Our identity is as dappled as NYC.